Ambient occlusion in any 3d software is an easy way of faking global illumination it also gives 3d renderings an extra look of realism. This tutorial is a quick glance of setting up an occlusion shader in Autodesk Maya. As a first step, import a model into Maya which we would like to work on or create some objects that has a few creases and corners (e.g Teapot in 3dsMax). 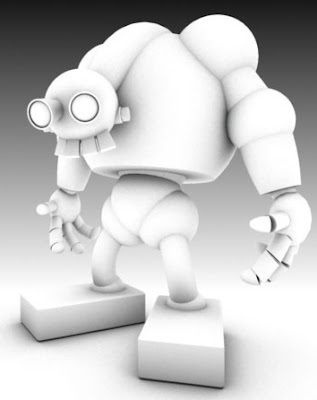 Ambient Occlusion works on all types of surfaces including polygons, nurbs, and Sub Divisions, so any surface is good to work. Now open Maya’s render settings by going to Window > Rendering Editors > Render Settings. 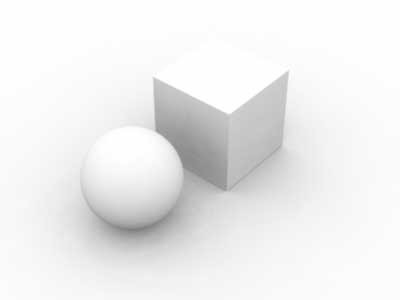 Ambient occlusion is a Mental Ray shader so select MentalRay renderer which can be found in the common tab as long as the plugin is enabled. Now turn off the Enable Default Light setting in the bottom of Common tab. In general this option should be turned off when starting to light and render a scene because the default light is a basic ambient light which will blow out the image since we will be using the ambient channel later in this tutorial. Now switch to MentalRay render tab and confirm that raytracing is turned ON. Since ambient occlusion doesn’t need to calculate the refractions and reflections set those values to 1 to speed up the render. 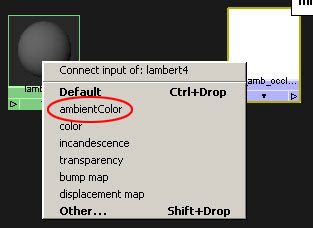 To create the shader open the Hypershade and create a new Lambert material. Then change the Lambert color to white. 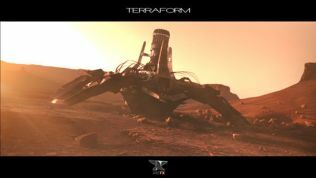 In the hypershade menu go to Create > Mental Ray Textures > Mib _Amb _Occlusion. In the hypershade work area connect the Output Value of the occlusion texture to the Ambient Color of the Lambert material. 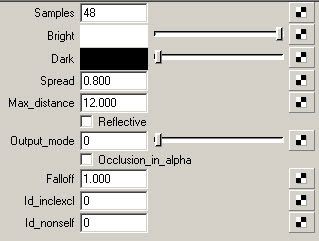 Then select the Ambient Occlusion Texture and open the attribute Editor to edit the parameters. Here the Samples control the amount of points to be occluded. I always set it to 48 as a standard but if the image is grainy then increase the sample value. One thing to remember is higher the samples, longer the rendering time will be. The Spread attribute is the mix between the light and dark values so a values between .6 and .8 are good. The Max_Distance value is dependent on the scale of the model. The main aim is to have a nice contrast in the edges and details so the bigger the distance value the less contrast there will be. Our final step is to change the background color to white in the render view. 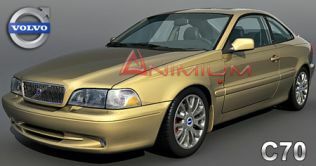 Select the render camera and in the Environment, change the color to white. The image below was created with the settings from this tutorial.